The guy in the corner office who turned the company around. If you always do what you've always done, you'll be at the office till midnight...again. 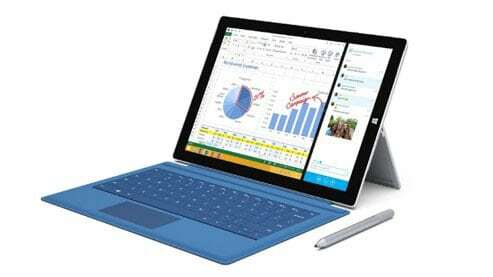 Turnkey unlocks the power of Microsoft Dynamics GP to transform your business. We recently implemented Dynamics GP with the help of Turnkey Technologies. Prior to our move to Dynamics GP, we had four disparate billings systems and a separate GL and AP system. With this implementation, we have streamlined all of our processes and workflows, eliminated a great deal of manual work and set ourselves up for rapid growth. Growth exposes your business to new challenges, bottlenecks and limitations that can impact your potential. The processes you used to initially run your business are often the very things that hinder your ability to grow further. If your existing system is limiting your growth, it's time to take the next step. 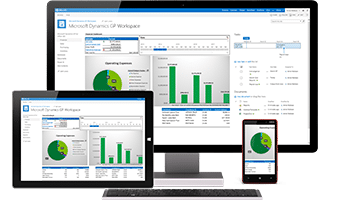 Microsoft Dynamics GP provides full financial and ERP functionality for growing organizations across numerous industries. As a Microsoft Gold Certified Partner, we can help you take full advantage of Dynamics GP and connect your data, processes, and documents with your people at the center. Dynamics GP 2018 now available! Originally called Great Plains Software, Microsoft Dynamics GP is always evolving, and has carved a path as one of the most innovative and flexible ERP solutions for growing businesses. Learn what's new in GP 2018! What's New in GP 2018? Provide a seamless experience across your devices and applications. Gain new ways to collaborate and simplify your work day. Adapting your tried and true processes for today's business realities can be a tricky endeavor. It helps to have experts on your side who know the pitfalls and can help you avoid them. It takes vision to see what you, your employees, and your business can be, and courage to turn that potential into reality. If you've got the guts, we've got the know how. take hold of a brighter future. I feel that we have not only a vendor, but a true business partner in Turnkey. Someone who will be there to help us with our unique needs, without trying to make us conform to a one-size fit all solution. Everyone here is grateful and excited to be working with Turnkey Technologies. "Turnkey understands there's a learning curve when you adopt a new system, so they don't throw everything at you at once. Now that I've mastered the basics of GP, I look forward to learning other modules in the future." Get a free and instant quote for your Dynamics GP solution. Jump-start your enterprise software selection process. Turnkey Technologies is a Gold Microsoft Dynamics GP Partner based in St. Louis, Missouri.